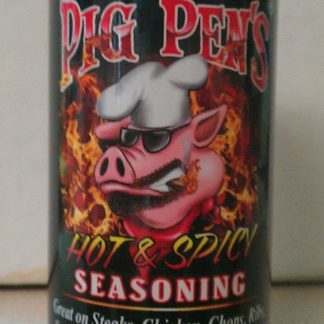 Home / Uncategorized / Pig Pen’s Original 6 oz. View cart “Pig Pen’s Original 6 oz.” has been added to your cart. 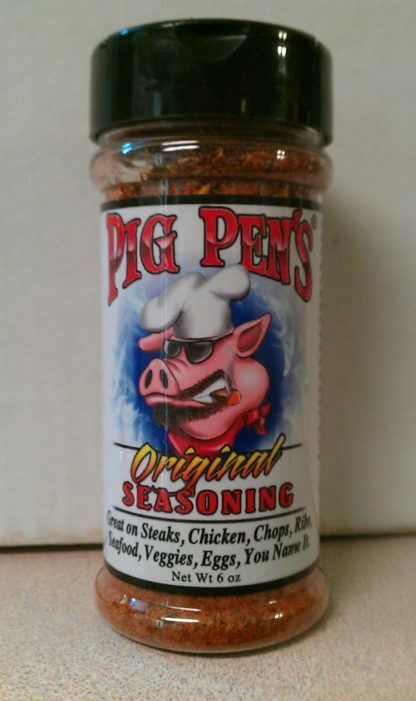 Pig Pen’s Original 6 oz. 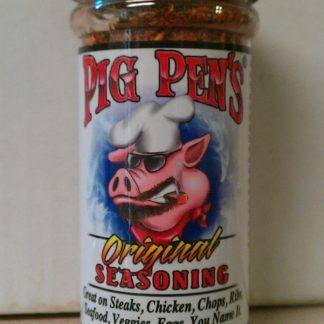 This all purpose seasoning is great on steaks, chops, poultry, ribs, veggies, eggs, you name it. A lotta flavor with a little bit of “zest”. 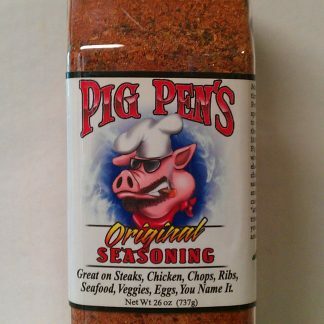 Pig Pen is excellent! 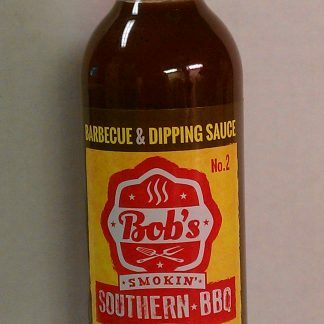 I use as a rub for smoking and grilling. I also use to season food I cook in the kitchen. 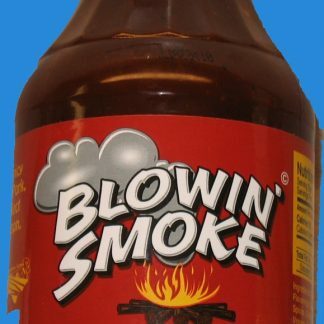 Blowin Smoke BBQ Sauce Pig Pen's Original 26 oz.